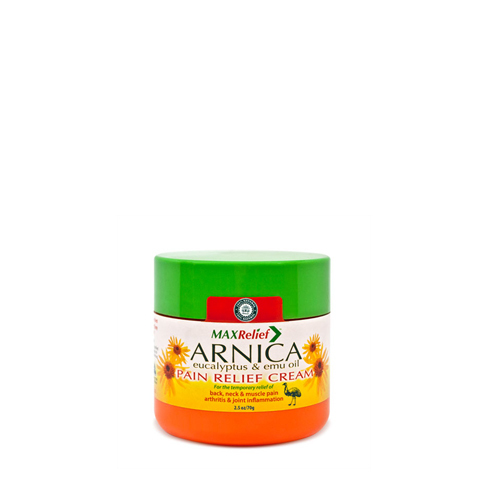 Get effective pain relief from the only pain relieving formula that combines Arnica and Emu oil. 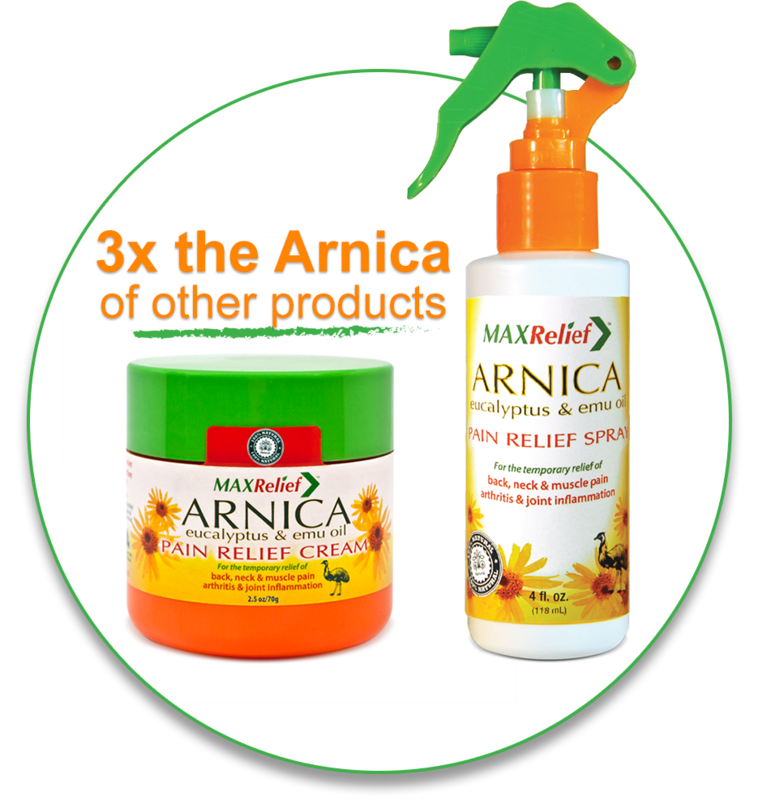 With 3 times the Arnica of other leading products, MaxRelief quickly soothes sore joints and muscles, providing temporary pain relief and increased flexibility. MaxRelief uses proven, all-natural ingredients to ease the pain associated with arthritis, bruises, strain or overuse. And because it contains camphor, blood flow increases to the affected area to promote healing. MaxRelief has developed a fast, powerful pain relief therapy to help ease the everyday aches and pains that keep you from enjoying life to the fullest. 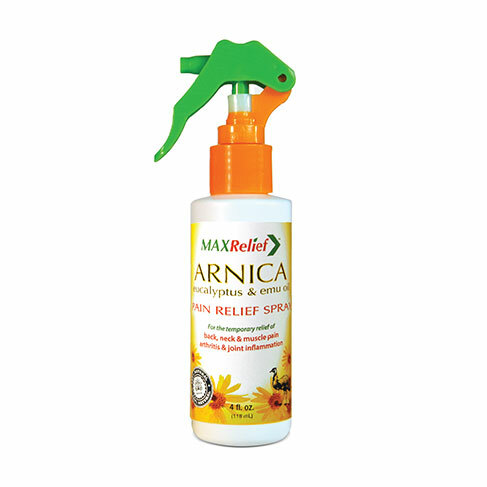 Use MaxRelief spray and cream to relieve sore muscles and aching joints to get back to doing the things you love to do. We stand behind our products and guarantee your satisfaction!